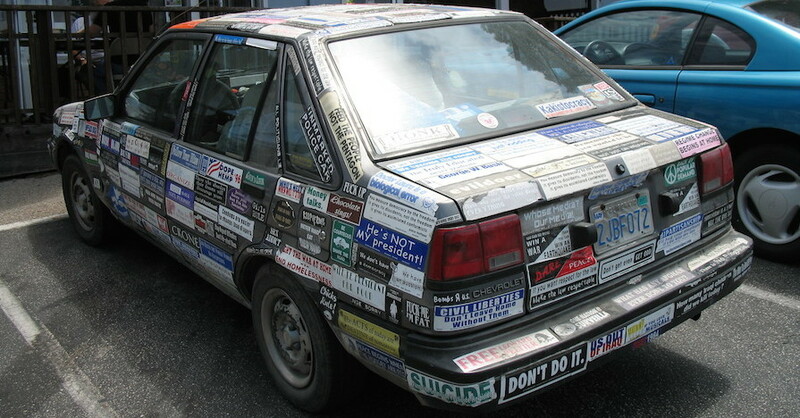 There is not a more maligned automotive product than “bondo”. Plastic body filler is most often referred to by the brand name “Bondo” (made by 3M), and its bad reputation comes from decades of poor application and misuse. Every high-end custom car or restoration has body filler on it. Using it on your daily driver or project is not a bad thing, as long as you use it the right way. 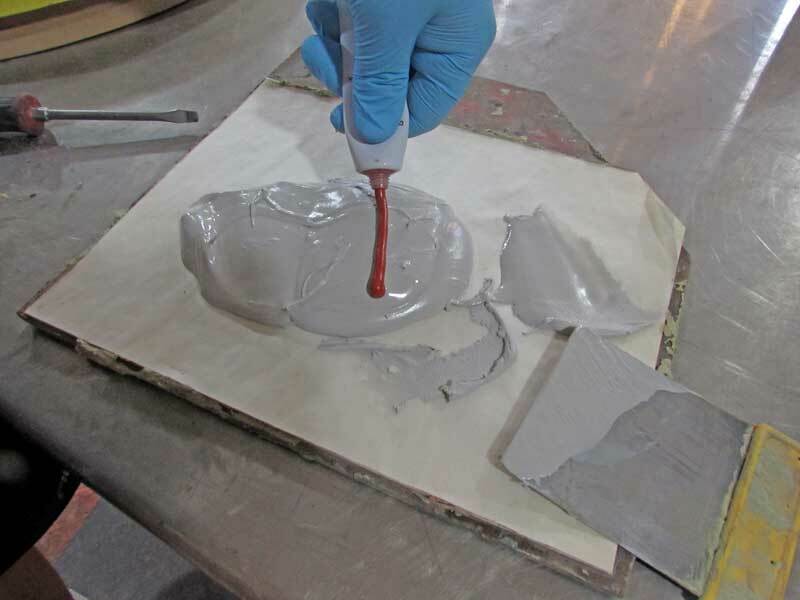 Like most plastic body fillers, Bondo is a lightweight polyester-based plastic body filler that was originally developed as an alternative to lead body solder. The Bondo brand name was created in 1955, just a few years after the use of lead body solder began to be prohibited. Many bodymen of the time were not sold on the idea of using plastic body fillers, but over time, it became apparent that the lightweight, easy to use nature of body filler was a benefit over lead. Not to mention that lead body solder is very dangerous to work with. Poorly applied body filler might work in the short run, but eventually, it causes way more problems down the road. There is no minimum thickness for Bondo, but there is absolutely a maximum. You do not want to apply body filler to anything that is thicker than about a 1/4”. That does not mean it can’t be done, but the repair will not last as long. Eventually the filler will shrink and possibly crack or even fall off. The general rule of thumb is that if the dent it deeper than 1/8”, you need to do metal work first. What you are working with needs to be properly prepped BEFORE you apply any body filler. Do not slap Bondo onto a smooth painted surface, it is not going to stick very well. The paint should be sanded off, to the bare metal, and then apply the filler. 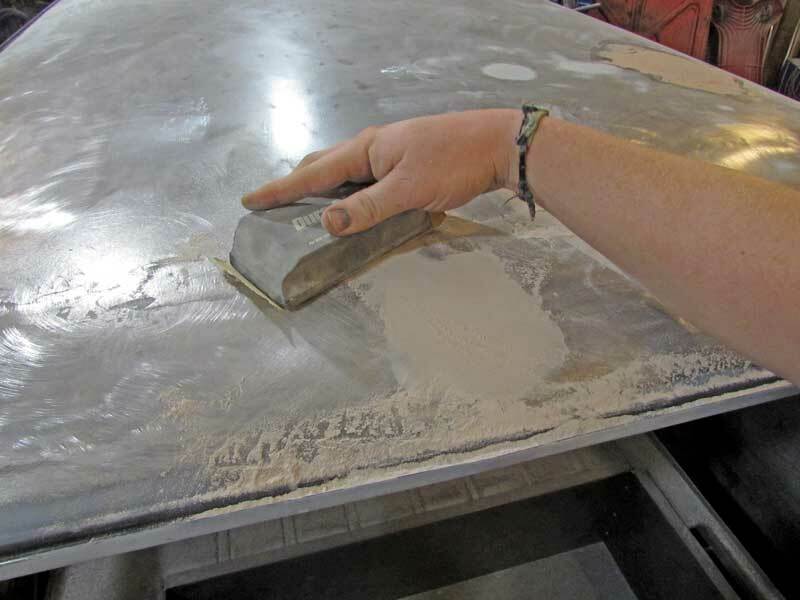 A 36-grit to 180-grit surface is ideal for body filler application. Don’t use body filler on full gas tanks, or anywhere that gets hot. Bondo is resistant to fuel, but only after it is cured. If you are smoothing out a gas tank, that is great, it you are trying to fix a rusted out gas tank, this is not going to do a good job. Body filler is not good for rust repairs. 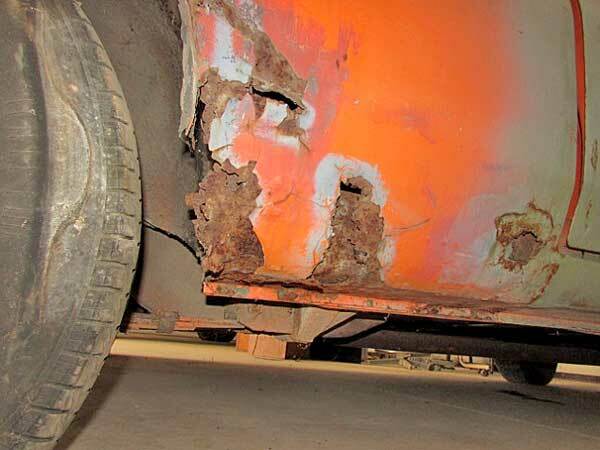 You cannot slather some Bondo over rust and expect it to stop the rust or stick to it for that matter. 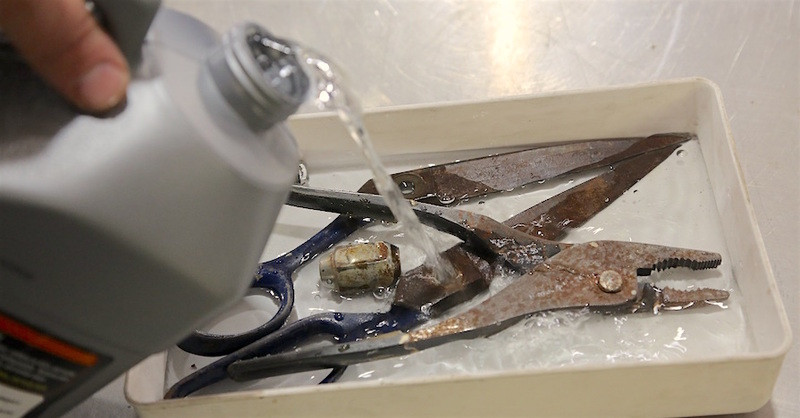 For rust repairs, you must first remove any scale from the metal. If there are holes in the metal, you are much better off cutting it all out, patching it with new metal, and then working the body filler from there. 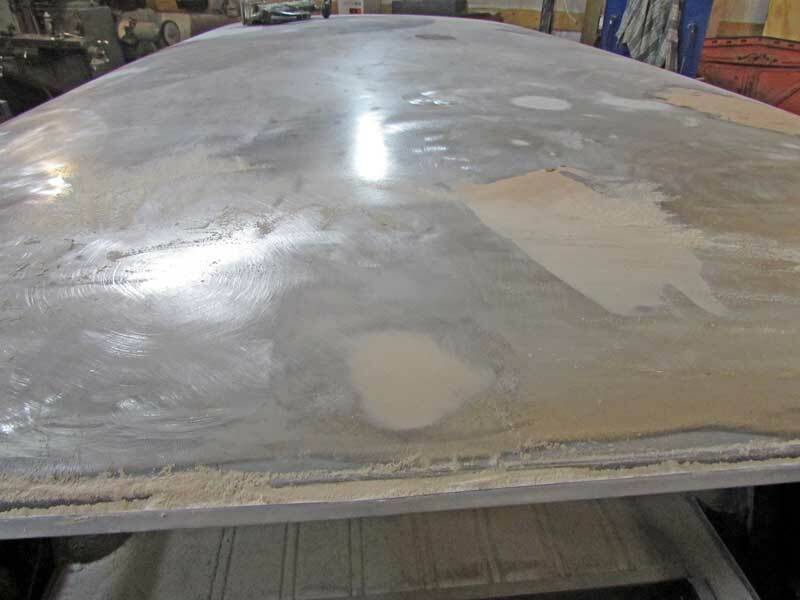 If you absolutely must use body filler to make the repair, then you should remove all the scale, add a backup screen to cover the holes from the back side, then use Bondo Bondo-Glass over the rusted area, sand and finish out with regular Bondo body filler for a stronger repair. The mix is crucial. Most of this comes from experience, but you can get close to the optimum mix with this tip- use 1:1 ratio of inch diameter of filler to inch-length of hardener. A 4-inch diameter of raw filler needs a 4-inch ribbon of hardener at room temperature. If it is hotter (above 85 degrees), use slightly less, if is colder (below 65 degrees), use slightly more. If your filler hardens too fast, you used too much, if it takes too long, you didn’t use enough. You only want to mix what you can use in about 10 minutes. Properly mixed, body filler will begin to thicken in 10-15 minutes, and be fully cured in 30. The general rule is to add a line of hardener across the diameter of the filler pool. This will get you pretty close at room temp. Do not whip the body filler while mixing it. This will incorporate a lot of bubbles in the filler, which means more pinholes to fix later. Use a slow and deliberate figure-X pattern, wiping the filler across itself. Slowly pull the filler across itself to mix it in an X pattern. This will reduce the air pockets, which become pinholes in your body work. You can use plastic or metal spreaders, your choice. Metal spreaders last longer and provide a more defined edge, but plastic spreaders are cheap and can be cut to match shapes. Apply the filler to the panel, pushing the filler into any crevices. 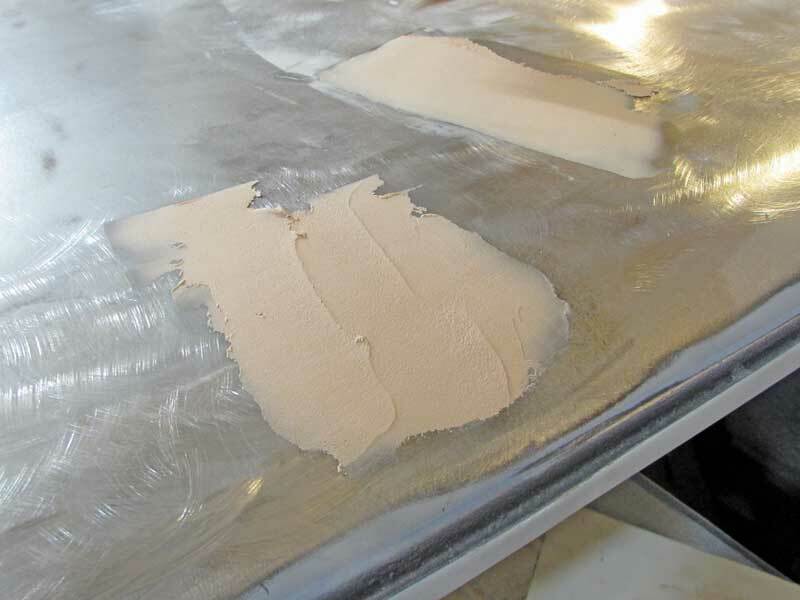 Wipe the filler as smooth and level as possible, but leave plenty of extra filler above the surface level to sand the repair smooth. 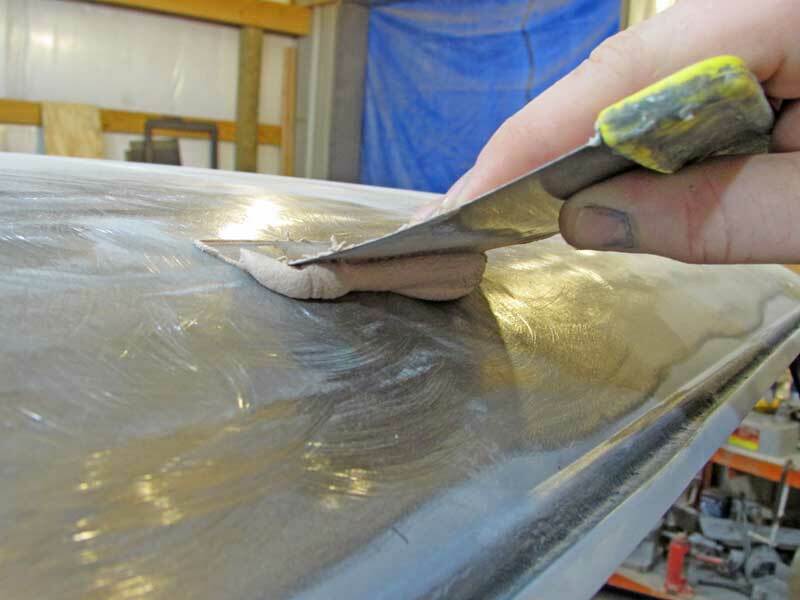 Apply the plastic body filler to a cleaned and prepped surface using a metal or plastic spreader. 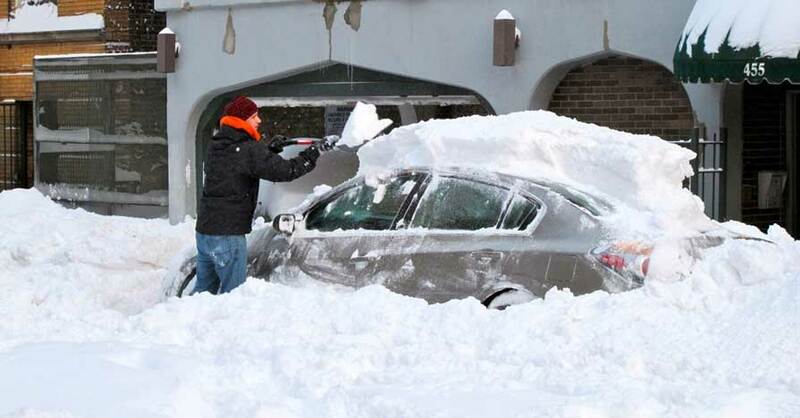 Always cover a larger area than just the dent for feathering. This dent is about the size of a quarter in diameter, but the filler patch is 4″x4″. Most of it will end up on the ground. There are two schools of thought on when to sand filler. If you are doing general bodywork, leveling wavy panels, fixing small dings, etc, then wait until the filler is fully cured, about 20-30 minutes. 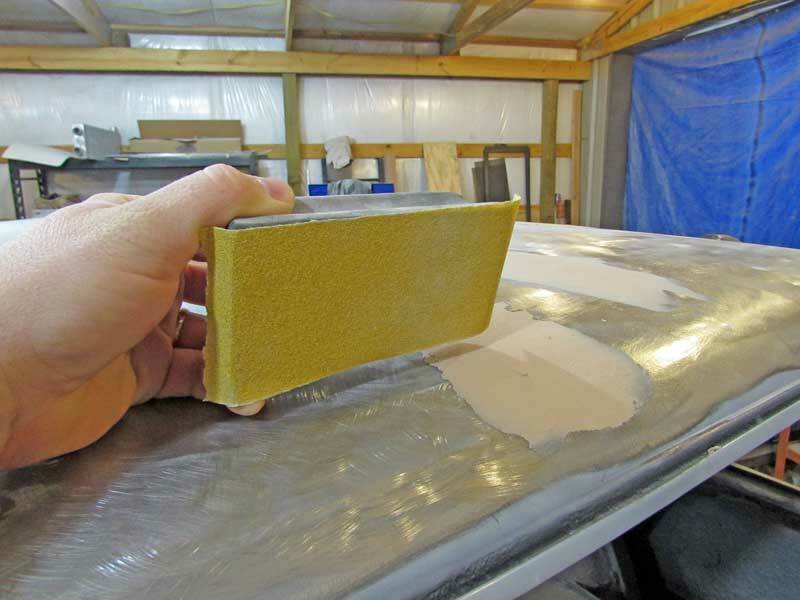 If you are using a lot of filler or doing some shaping with the filler, you can use 36-grit sandpaper when the filler is in the “green” stage, this is solid, slightly rubbery, but not fully hardened. 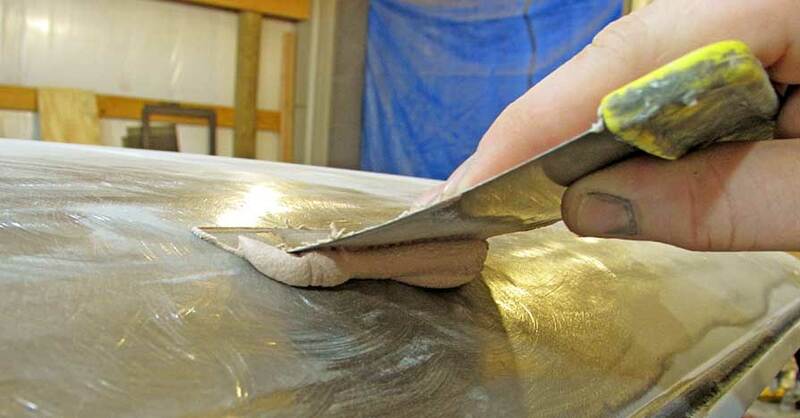 Using light pressure, you can knock off large amounts of filler to rough-in the shape needed before the filler hardens, making sanding more labor-intensive. We started with 80-grit sand paper on a sanding block. If your plastic body filler is fairly smooth, it should block out pretty fast. The key to a quality repair is seamless filler work. The edges of the filler should feather out to the existing panel. You should not be able to feel where the metal stops and the filler begins. 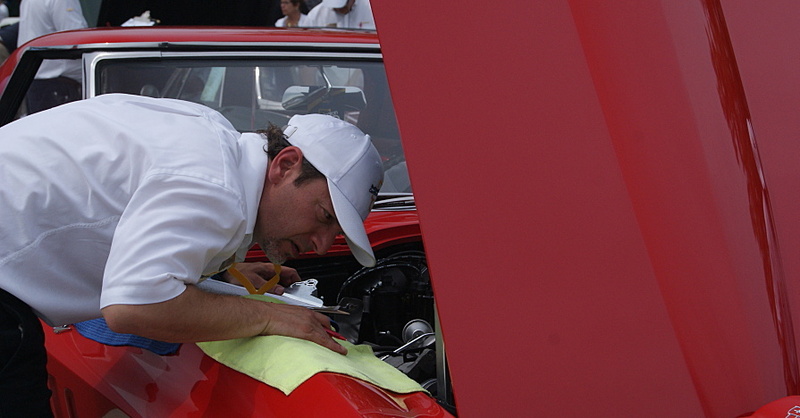 Any defect you see or feel in the filler will be amplified when the paint is on the body, so check the panel repeatedly. Large repairs require extra effort, as you can easily get waves and ripples in the bodywork when working a large area. Never sand in straight lines, instead use a criss-cross pattern, up and down, side to side. This eliminates waves and results in a much better repair. Always use an X pattern to sand the repair. This keeps the repair flat and not wavy. Here is the final repair in 80-grit. To finish the job, the filler needs to be sanded with 180-grit, primed, blocked with 300 grit, re-primed, blocked again, and then sealed and painted. Bodywork is a slow, tedious task that takes time to master, but is easy to learn. 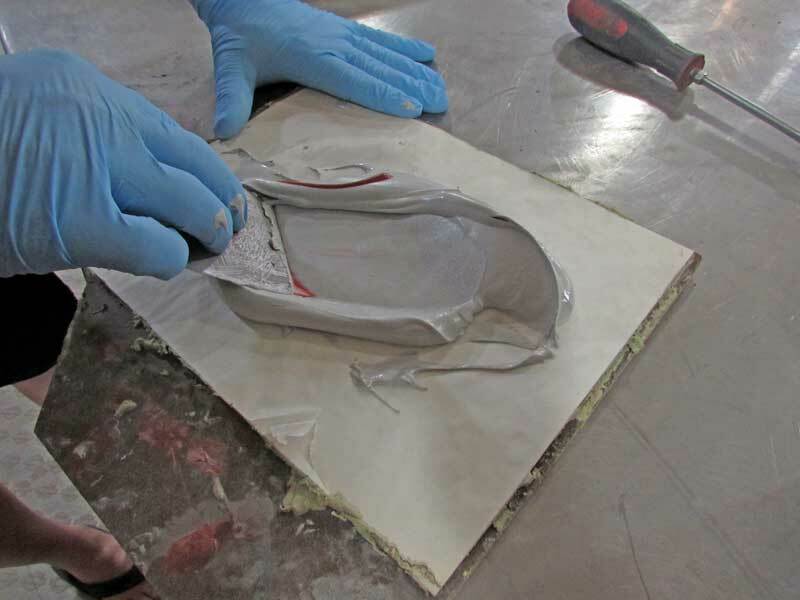 Don’t be afraid to use Bondo, as it is a good quality product that is a must-have for any body repair project. And don’t worry if you screw up, you can always sand it off and start over. Check out all the paint & body products available on NAPA Online or trust one of our 16,000 NAPA AutoCare locations for routine maintenance and repairs. For more information on how to use plastic body filler, chat with a knowledgeable expert at your local NAPA AUTO PARTS store. Great info. thanks. Please tell me what to do about ‘pinholes’ after I’ve sanded ? Thank you for your question about smoothing out pinholes in Bondo, a NAPA Auto Parts representative will be contacting you via email shortly. Is the cured Bondo the same hardness and durability if too little hardener is used (resulting in a slow cure) or too much hardener is used (resulting in a fast cure) or just the right amount of hardener is used?